FULTON, NY – Lana C. Guyer West, 63, of Scriba, passed away Saturday January 17, 2015, at St. Luke Health Services in Oswego. 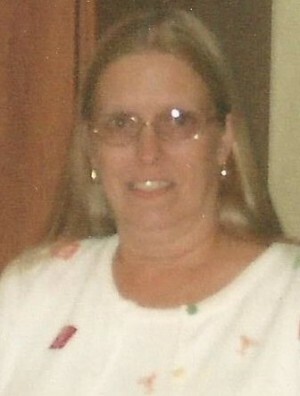 A native of Oswego, Lana had lived in the Oswego area all her life. She had worked more than 20 years at Interface Solutions. Lana was an avid flower gardener and enjoyed taking a ride with no destination. She was predeceased by her father, James Spicer. Lana will be greatly missed and forever loved by her husband, Robert West; son, David M. Guyer; daughter, Brenda L. Guyer; stepson, Robert West; stepdaughter, Carissa West; three step-grandchildren; her mother, Adrienne; brother, Mike (Debbie) Spicer; several half-brothers, half-sisters, nieces, nephews and cousins. Contributions in memory of Lana may be made to The Leukemia and Lymphoma Society Donor Services, P.O. Box 4072, Pittsfield, MASS. 01202. Joanne & I are very sorry for you loss. Cherish the memories that you & Lana shared during your years together. They will never perish and forever be in your heart. If there is anything we can do for you please let us know. May God comfort you during this sad period. Our thoughts & prayers are with you & your family. R.I.P. Lana. I knew Lana for many years, from working together so long ago, to going antiquing ,to flower shopping, to sharing our love for the birds we would watch and try to identify . Lana’s flower gardens were always beautiful, she had an eye for color and her yard was always beautiful. I remember Bob and Lana would spend hours weeding and planting together . Bob was a was big help to her. With deepest sympathy to your family in this sad time. I will miss her and will always keep her in my heart. If there is anything we can do please let me know. Rest in peace Lana…love you!